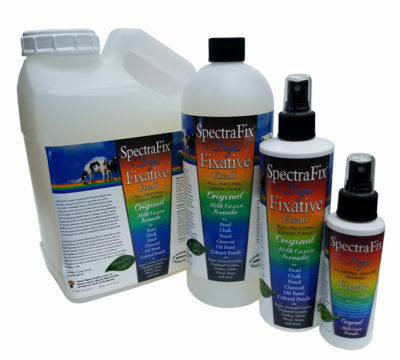 SpectraFix Non-toxic Fixative is made with casein, water and alcohol and is based on an antique recipe used by French Impressionist painter, Edgar Degas. 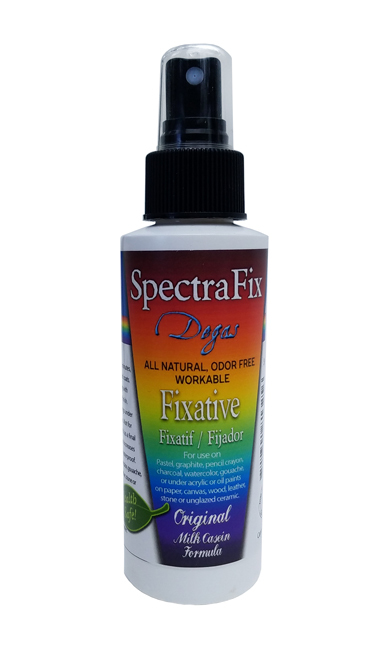 It seals and protects your artwork while leaving your colors brilliant, and best of all.. there are no toxic fumes or odors! 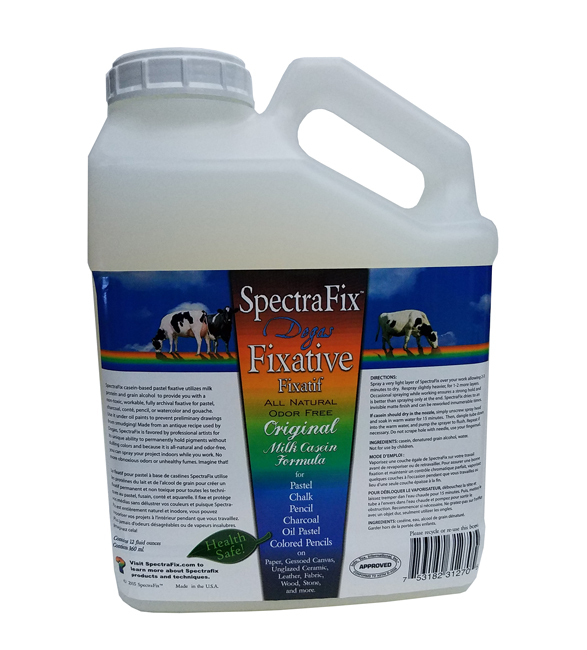 Spray indoors and keep right on working at your easel without concern. Perfect for chemically-sensitive people. 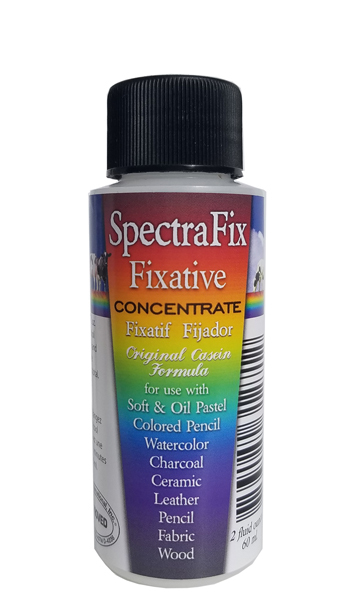 Dries quickly to an invisible matte finish and allows deep layering as well as providing extra traction on thickly layered, slippery media such as color pencil or oil pastel. Combines well with almost all media, and dries to a hard, water-resistant finish. 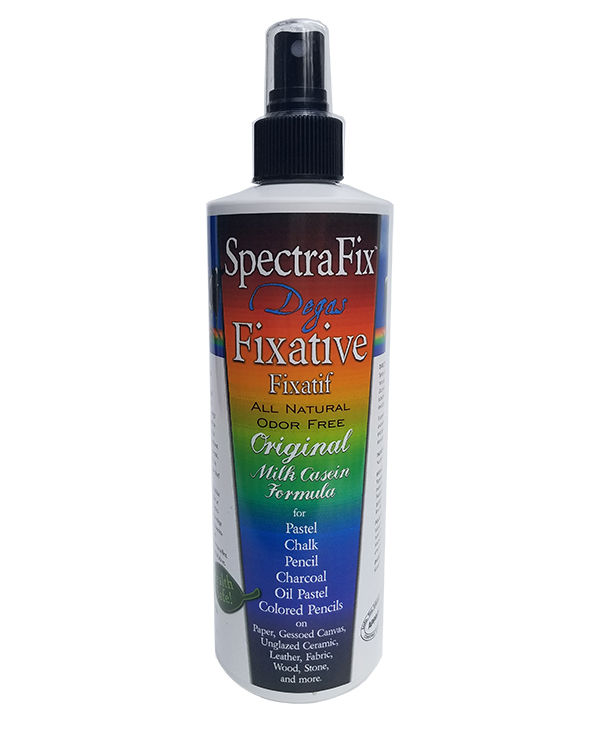 Should not be used as a final top coat over acrylic or oil paint. 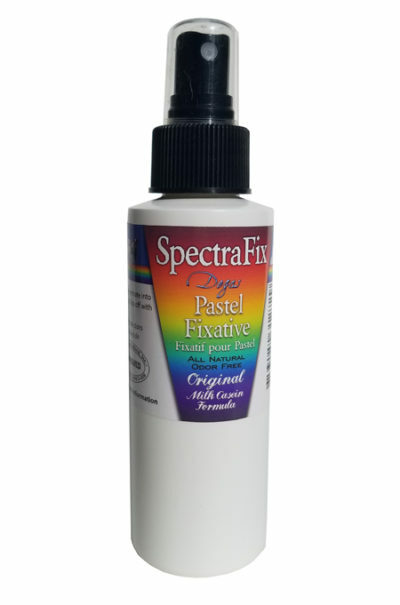 May be used on all papers, sueded or gritted paper (not LaCarte), primed and unprimed canvas, wood panels, unglazed ceramic, stone, leather, glass, etc..
Use with Soft Pastel, Pan Pastel and Oil Pastel, Colored Pencil, Graphite, Charcoal, Chalk or in combination with Watercolor, Gouache, Casein, Ink or to layer other media into Encaustic. Perfect for crafts, it holds a wide variety of media without dulling their sheen or brilliance. Use under Oil or Acrylic paints to prevent underdrawings from smudging. 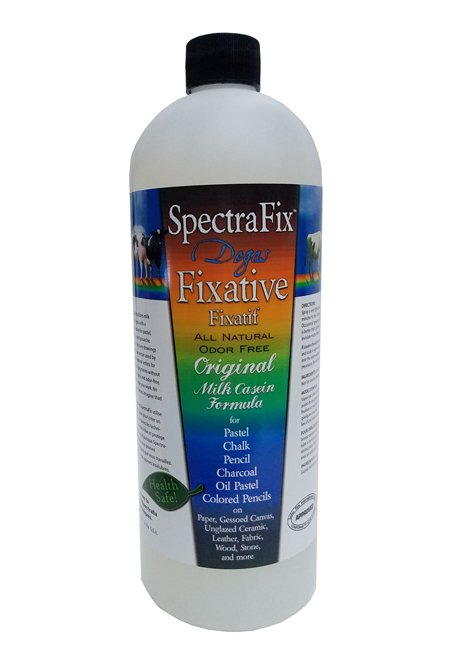 Casein actually bonds permanently with the covering layer of oil paint, and similar to egg tempera, has been used for centuries for grisaille or colorful underpainting which can then be glazed with oil. 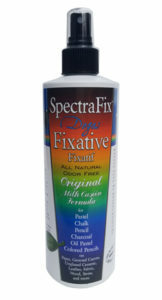 Remember, it is not recommended as a final top coating for acrylic or oils. Available in 12 oz. 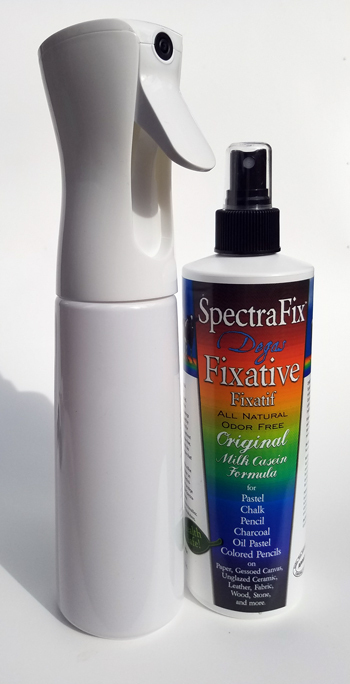 bottle with finger pump sprayer, or in bulk sizes of 32 oz or 128 oz gallon jugs, along with one of our fantastic new Refillable Aerosol Spray Bottles which effortlessly spray a fine mist without emitting droplets! Thanks Kate! 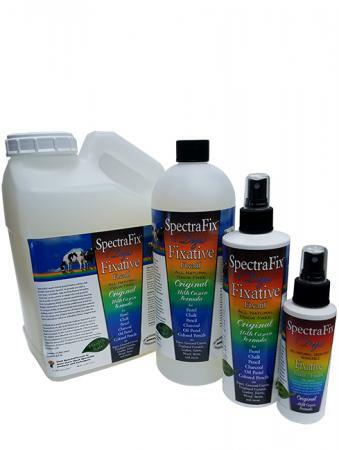 We’re delighted you were able to use SpectraFix to do this very tricky maneuver!